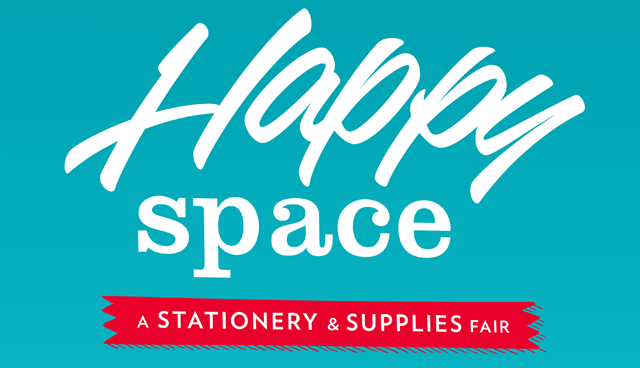 National Book Store will hold its first ever “Happy Space: A Stationery and Supplies Fair” on April 15 to 17 from 10 a.m. to 9 p.m. at the Glorietta Activity Center. Admission is free! Awesome art activities, freebies and surprises, and lots of learning await in National Book Store's Grand Summer Art Camp! Registration is free. 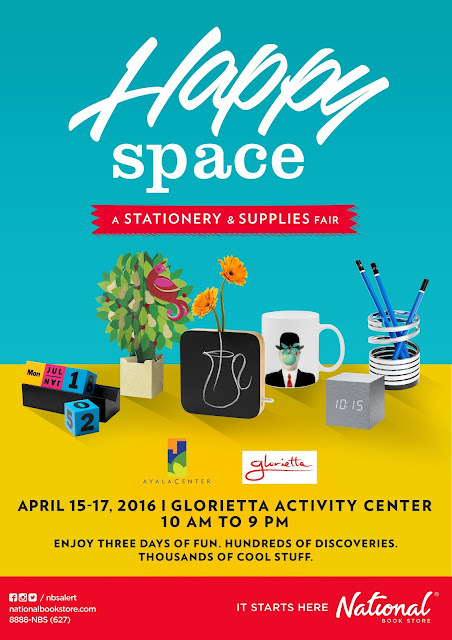 Experience one whole day of fun-filled, educational arts and crafts workshops for kids and kids at heart. We've got giveaways, games, promos, and many more in store for you. 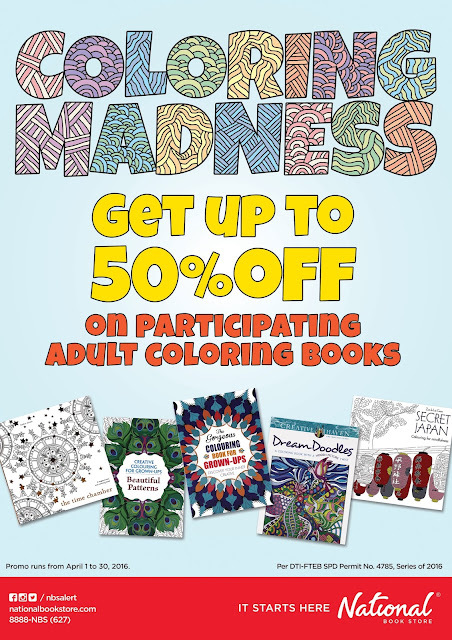 Make this summer your most creative summer ever! National Book Store's Grand Summer Art Camp is on April 24, 2016 from 10 a.m. to 6 p.m. at the Main Mall Atrium, SM Mall of Asia. 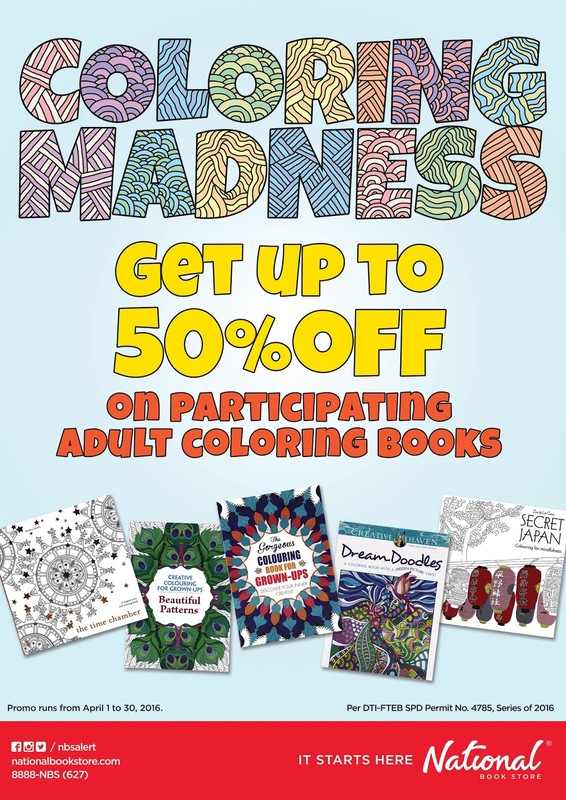 See posters or visit nationalbookstore.com/grandsummerartcamp for more details. Learn lots of new things and create amazing art this summer at National Book Store's Summer Art Camp. We've got a lineup of awesome arts and crafts activities you can join for free! Choose from basic manga art workshop, binocular making and fabric coloring, basic sketching and card making, and many other interesting activities. The workshops will be held simultaneously in selected National Book Store branches on all weekends of April. 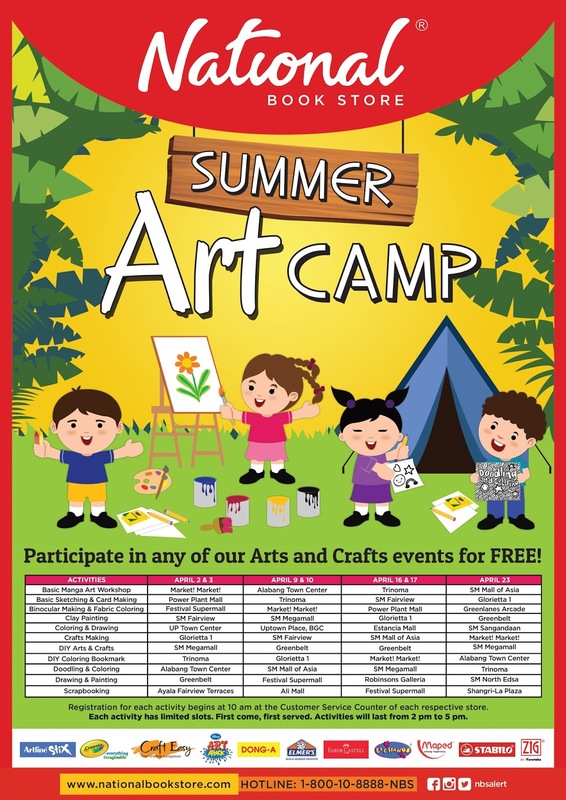 Check out nationalbookstore.com/summerartcamp for the complete schedule of activities. Rookie Mommy PH - See you there!